Welcome to the BIO SIGMAA website. In order to get you familiarized with this site, we've included a little "how to" guide to show you the different features that can be used to share information as well as connect with one another. 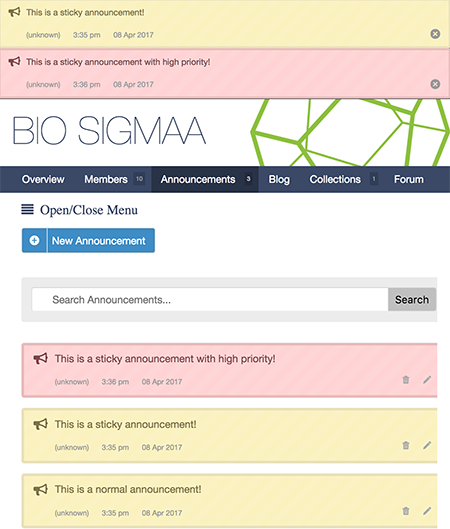 Joining the BIO SIGMAA site as a member will allow you to participate in various features that this site offers. As a member, you'll be able to create group announcements, create blog posts, create or add to collections, and participate in forum discussions. To become a member of this site, click on the "Join Group" button on the upper right corner of the page. Annoucements are short messages for the entire group. You can create an announcement under the annoucement tab from the main menu. Normal annoucements are only shown under the announcement tab. 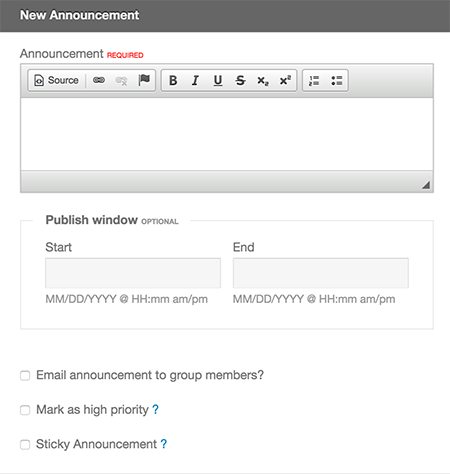 If you check the "high priority" box, the announcement will display in red. Checking the "sticky" box will display the annoucement on all pages of the site across the top. Blogging is a great way to share information to both group members as well as the public. 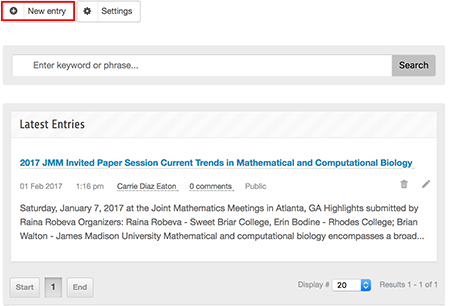 You can create a new blog entry under the Blog tab from the main menu. 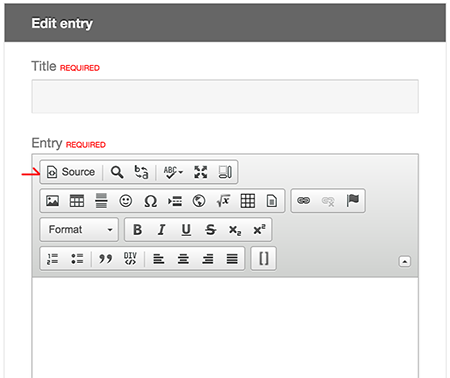 When creating a new entry, it will bring up the CKeditor which is a wysiwyg editor that is used through the site. You can start typing away, or if you know any html, you can click the "source" button and enter in html markup. 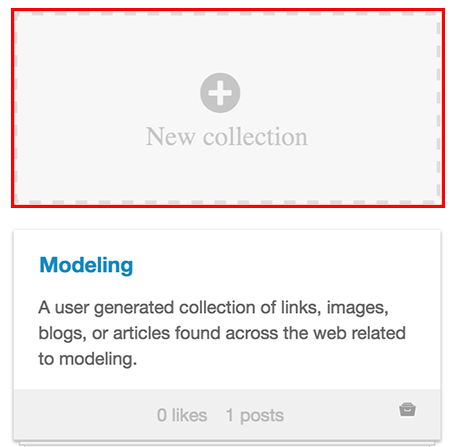 Collections are user generated collections of content that is found under the "collections" tab of the main menu. 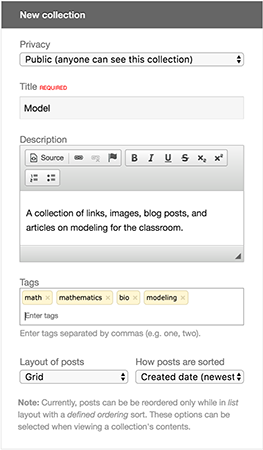 Collections can include links, images, blogs, or articles that are grouped under a particular topic. 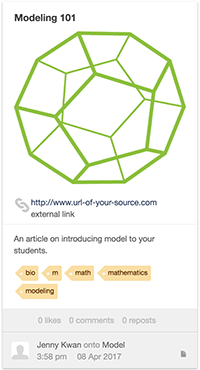 It is a great way to share resources that you find from all over the internet. To start a collection, click on "new collection." You'll need to give your collection a title. While description is optional, it is a good idea to give your collection a brief description as well as add related tags below it. Once you create a collection, you'll want to add a post. 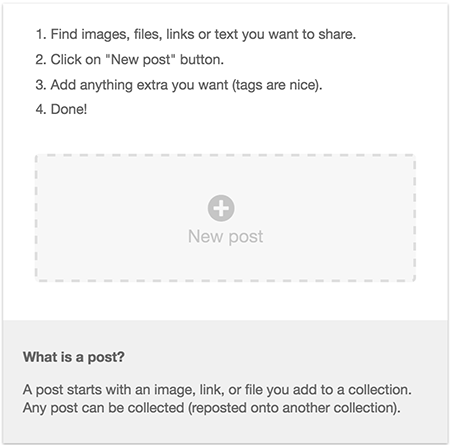 Posts are the actual individual resources that you are sharing within this collection. 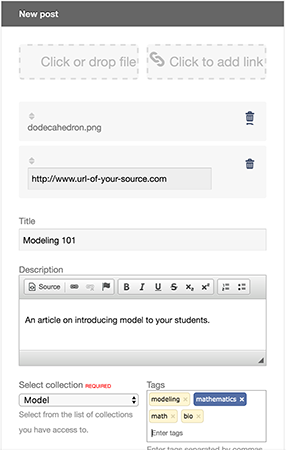 You can add files and links to the resource that you are sharing. If you add an image file, the site will use that image as a header for the post. You can participate in discussions with other members at anytime by visiting the forum tab under the main menu. If you would like to create a new discussion (or forum post), just click on the "new discussion" button to the right.